Did you miss a post in this series? Read parts one and two. Find a place that is BORING. This should be away from the flow of the play. Away from the television. Away from the fun. Do not use a child’s room. They can still have fun alone in their room! There should be no breakable objects nearby. Enough said. It’s best to have the child sit in a full-size chair (not a recliner or soft chair). If you use a separate room, do not turn off the lights or close a door. The idea is to take your child away from the fun, not scare him! Our children have time-out in the dining room. It’s away from the “fun” in the living room but still visible. I turn the chair away from the living room/play/television. A chair turned to the corner of any room can also work. Our kitchen chairs are tall chairs, and the children’s feet cannot touch the ground. They have to make an effort to get down. I’ve found this very helpful in helping them obey! Before using time-out, it’s important to explain it. Even if you do a form of time-out now, take time to explain the rules and show your child how it works. When we learned time-out at the therapist’s office, we used a stuffed animal to “act out” the time-out sequence. “Mr. Fluffy” modeled disobedience, and then I went through the routine. As I’m acting through this sequence, the child’s eyes are GLUED to it. She wants to see what happens. The toy bunny (with my help) then goes and picks up the blue car. It’s important to follow the first command with a second to reinforce obedience. More applause, more praise when it’s accomplished. Sometimes you need to “act this out” a few times for your children to understand. But they will pick it up quickly! Why don’t you give it a try! I’d love your thoughts on how the example with “Mr. Fluffy” works out! 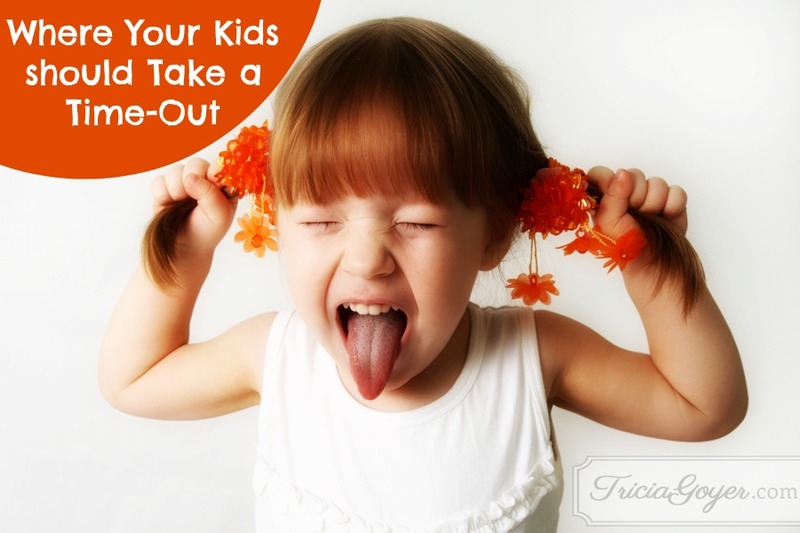 And on the next post I’ll share more about what time-out should look like once your child is in the chair. alright I am going to give this a try….and right now it’s been hard. I understand that all things will take time and I need to focus on one bad behavior at a time, but what happens when the child keeps getting out of time out? I mean “RUNNING” out of time out and then me having to place her down, and there’s an immediate rush to escape? I am very much wondering how you can reinforce obedience in this situation. I’m going to be talking about that in my next blog post!! For each time she gets down there is an additional consequence–can’t play with a certain toy that day, can’t have a favorite snack, etc. (Let the child see the snacks as the day begins, build it up, and then explain what will happen if she gets out of time out). You can remove three privileges during each time out. She will catch on quickly! I didn’t think it would work, but only ONCE when my son didn’t get his sticker/snack/and favorite toy and he learned not to get up and run. This series is perfect timing for me, thank you for taking the time to write it. 🙂 You might be addressing this in your next post but what do you recommend when your child screams bloody murder through the entire time out? I have a very strong-willed little boy (just turned 3) who will fight with all he’s got not to do something he doesn’t want to do (for example, pick up toys he dumped out angrily while in a temper). This post is definitely helpful in knowing how to do time-out and next time I plan to try a regular-sized chair pointed toward the corner rather than putting him on his bed like I usually do. He tends to throw things angrily if I’m not standing right there (once he even threw the child-sized chair he was sitting on in there) but won’t stop crying loudly and angrily. I guess I’m wondering what I should be doing while he’s in time out – he is definitely wanting my attention. He says, “I’m SORRY” over and over (not apologetically), trying to wear me down. If he sits in the chair just ignore him. Don’t stay around. Then give him LOTS of attention for good behavior. I hope that helps! Tried this this morning and time out went MUCH better than usual. 🙂 It helped so much that he couldn’t reach anything to throw and we have bar stool height chairs so it does take effort to get down. He did get down once but I put him back and he didn’t try again. Thank you so much! When is the best age to start time-outs and when is a child too old for time out? 18 monts – 8 years would be my suggestion. I m going try time out. I have a 20 month old and his behavior leaves me in tears. I had no clue what to do with time out. Some of his bad behaviors: screaming, playing in the dog water dish, messing with the dogs while they eat, and throwing things. He doesn’t talk yet. I haven’t started on making him pick up his toys but I probably need to start on that. This is great advice! Now I know where I’ve been going ALL wrong! Thank you so much! Just curious, did you ever write the last post in this series? I can’t find it.